Records document the various functions of an office or department. Records can take many formats including, but not limited to, paper documents, digital files, websites, email, or video. We review records for retention and disposition based on informational content, not format. 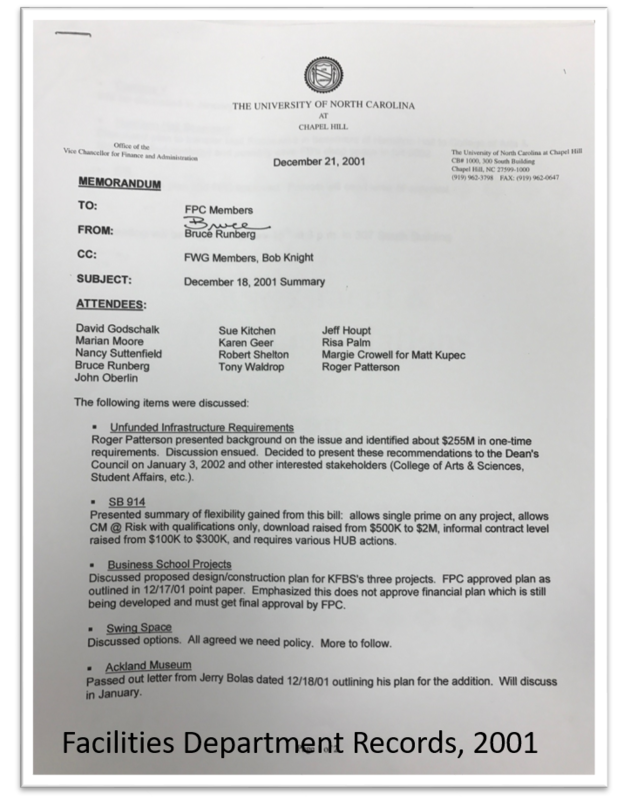 There are two North Carolina laws that address public records, and as a public university we are subject to them. The first is North Carolina General Statue 132, known as the Public Records Law. This statute defines public records and clarifies that public records belong to the people of North Carolina. The second law that affects public records is North Carolina General Statue 121, known as the Archives and History Act. This statute defines the duties of the Department of Natural and Cultural Resources. This act also regulates the destruction of public records. 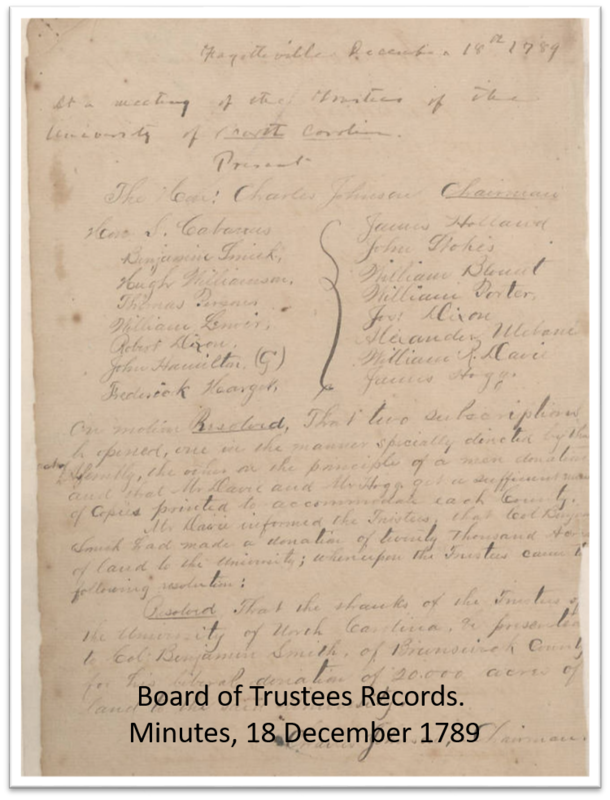 For the University of North Carolina at Chapel Hill, the Department of Natural and Cultural Resources ceded this authority to the University Archives and Records Management Services. This is what gives us the responsibility to assist the University with records management and maintain the General Records Retention Schedule. When it comes to public records, the word "public" doesn't necessarily mean open to the public. The word "public" in this context has to do with doing the public’s business or the business of government. According to state and federal statutes, health records, personnel records and student records have special confidential classifications and must be handled accordingly. If you have questions or concerns about public records, contact the UNC-Chapel Hill Public Records Office. This diagram provides a visual representation of a simple records management workflow. Records are initially created and actively used. Usually, there comes a point when the records are no longer actively used and that is a good time to check the retention period for that record type. The retention and disposition is regulated by the UNC at Chapel Hill General Records Retention and Disposition Schedule. Once the retention period is identified, the records are stored within the office for the designated period. After the retention period is over, the disposition of records is initiated. The disposition usually results in destruction of records or transferring select records to the Archives for permanent preservation. For certain records, the disposition may require keeping the records permanently within the office. The General Records Retention and Disposition Schedule provides instructions on how long records need to be retained for legal, fiscal, and historical purposes. The current Retention Schedule supersedes all previous records retention and disposition schedules that may have been created for individual units; and serves all administrative, academic, and health affairs units of the University. The Retention Schedule was last reviewed and updated in 2018-19. If you think the a record type is missing from the schedule or if you've found an error in the schedule, please contact us by email. 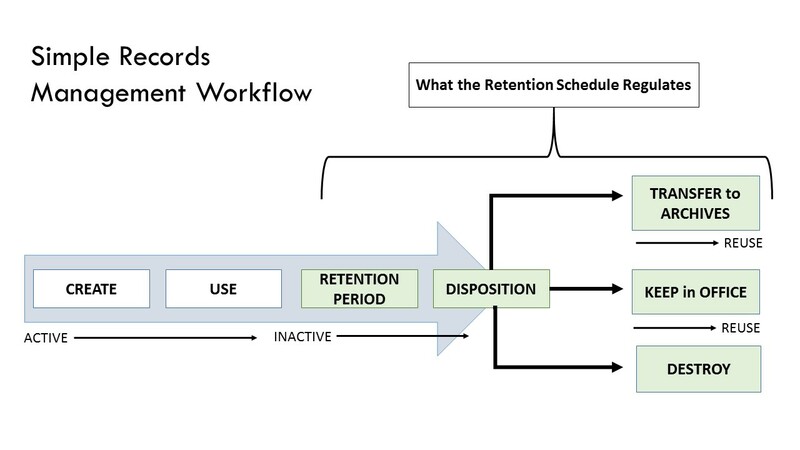 Become familiar with the Retention Schedule. 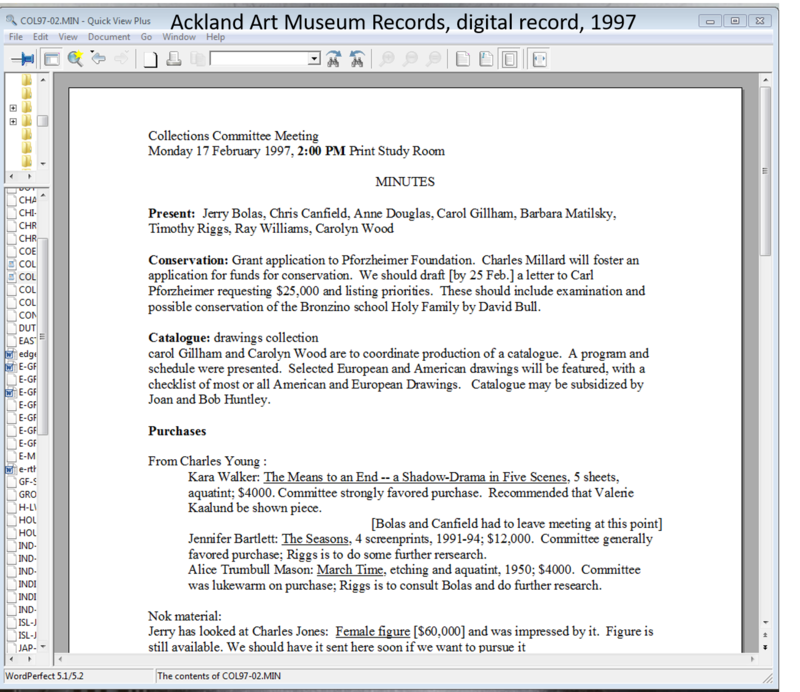 Group paper or digital records based on appropriate section(s) of the Retention Schedule and note the date for destruction or transfer to the University Archives in the folder or box name. Sort out your "Office of Record" records and focus on those records first. This means any records for which your office creates or maintains the official record copy. Those records are your top priority. For other records, you may need to keep a reference copy for a short time or you may have no records management responsibilities at all. Refer to the Retention Schedule for more information. Designate a person or small team within your office to handle records management activities consistently and at regular intervals. Make sure at least one permanent staff member is involved in records management. Students and temporary workers can provide help in organizing records or preparing to transfer records to the University Archives, but often more institutional knowledge is needed to make decisions about what to discard or keep. Make records management part of training for new employees. Attend a records management training or schedule a consultation. You are responsible for records you create or maintain. You should organize, review, and manage these records in accordance with the UNC-Chapel Hill General Records Retention and Disposition Schedule. Transitory records: records that are transactional or for temporary use (e.g. emails about meeting room changes or appointment confirmations).